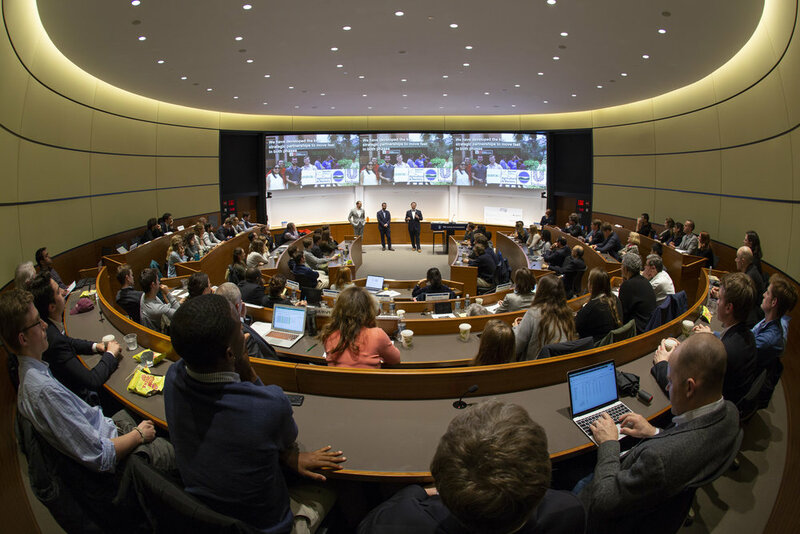 Startup Yale 2019 will take place April 3-5 at the Yale School of Management. Register now! The Summit will feature an incredible panel of female founders, leaders, and innovators who bring wisdom from their lived and learned experiences to address pressing social issues of our time. These inspiring leaders will come together in conversation around how different types of knowledge and wisdom inform their work; how they approach leadership, partnerships, and systems change work; and how they create opportunities for others to innovate and lead. The panel will be led and moderated by Baljeet Sandhu—2017 Yale World Fellow, CITY Innovator in Residence, and founder of the Knowledge Equity Initiative, a pioneering research, education, and practice hub seeking to share knowledge and learning across local, national, and global communities. WE@Yale is a cross-campus community to support women and non-binary femme innovators and entrepreneurs by providing skill-building, storytelling, and community. Join Insight Partners — a global firm that invests in growth-stage software and internet companies and has $20 billion in assets under management — to learn more about the venture capital landscape, get the inside scoop on what it’s like to be a tech investor, and meet members of the Insight team! We will also talk through the application process for our Summer 2020 Analyst Internship Program. Space is limited, so submit your information to sign up for the events listed above. Teams from Yale’s residential colleges will pitch their innovative ideas to address real problems at Yale in this challenge. Focus areas will include sustainability, wellness, and belonging on campus. The winning team will receive $500 and dinner with Marvin Chun, Dean of Yale College. Learn more here. African countries are welcoming the auspicious influx of development aid, most notably from China. However, will this truly lead to self-sufficiency and prosperity for Africa’s young and growing population of 1.2 billion people? Should Africans beware of “new colonialism” and predatory alliances? What does “good governance” look like for the future of Africa, and how can the continent—with its disparate countries and communities—achieve this unclear vision of political and economic accountability? Africa’s rise is palpable, and it is blessed with a bounty of human capital, biodiversity, land and natural resources, but it must also contend with persistent corruption, violence, poverty, and other systemic shortcomings that are vulnerable to outside exploitation. Hear diverse perspectives from speakers at this event. A fun panel featuring some of the most successful ventures to come out of Yale...who didn’t win. Hear from Yale innovators who didn’t win Yale entrepreneurship prizes but went on to create something amazing. Tsai CITY’s Accelerator helps students take their innovative ideas to the next level. Join us as 11 teams pitch their ideas and share the progress they've made through the program. Explore the diverse businesses Yale students are building in this lively showcase of student creations for sale and sampling. Finalist pitches in front of a live judging panel for the Sabin Prize — $25,000 for the best ideas for products, services, projects, or programs that advance a more sustainable way of life. Join Startup Yale and the Yale MBA Impact Investing Network & Training (MIINT) chapter for a lively lunch that will connect student venture teams, investors, and the broader Startup Yale community. Finalist pitches in front of a live judging panel for the Rothberg Catalyzer Prize—$15k for the best student-led venture developing an innovative hardware solution to a medical challenge. Finalist pitches in front of a live judging panel for the Thorne Prize—$25k for the best student-led venture focused on social innovation in health or education. Finalist pitches in front of a live judging panel for the Miller Prize—$25k for the best student-led venture working on a tech or tech-enabled service startup. Join Startup Yale and the Yale Impact Investing Conference for a joint celebration and reception! This event will celebrate the finale of two of Yale’s biggest events around innovation and impact. We'll announce the winners of this year's Startup Yale prizes — totaling nearly $100,000 in prize money — and give you a chance to connect with these student entrepreneurs and hear their big ideas. Startup Yale brings together Yale’s biggest entrepreneurship awards in two days packed with pitches, prizes, and world-changing ideas. The Yale Impact Investing Conference convenes leaders with perspectives from all sectors of the impact investing space to reflect on the achievements of impact investing and to discuss the current opportunities and challenges that lie ahead. Join us as these communities gather for an evening of networking and celebration, all over festive drinks and appetizers.